Ricardo Diaz is a Los Angeles native who began his love affair with everything digital in college, graduating with a degree in computer science from UC Santa Barbara. He began his career in 1999 at Cannery Agency as its first technology hire, working his way up to managing the entertainment technology team. This was back when the internet was still relatively new, and Diaz was part of a team that dove head-first into digital innovation. 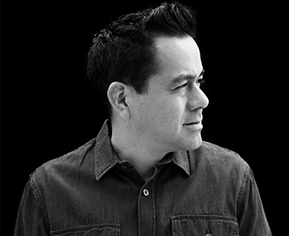 Eight years later, Diaz joined Chiat/Day as its Director of Creative Technology, spearheading award-winning campaigns across multiple disciplines and industries, for the Grammys, Nissan, VISA, Pepsi and Gatorade. The Grammy’s "We’re All Fans" campaign, one of the pioneering projects to integrate social media into digital campaigns, was actually the first award-winning digital work for Chiat’s LA office. He also worked on the first product offering from TBWA, Projeqt.com. He spent seven years there as an integral part of the team that would eventually become the digital disruptors of TBWA\Chiat\Day. In 2014, Diaz was appointed Director of Digital at Zambezi, where he created VR campaigns for Taylormade during the early, pioneer-focused days of the VR/AR revolution. He also led the team to a Cannes Gold Lion for the work they did with Stance Socks. Two years later, Diaz transitioned to Omelet as the Executive Director of Digital, with notable projects including a VR campaign for Smashbox, as well as the Wallis Annenberg Petspace launch and digital ecosystem rehaul. Diaz lives and breathes digital, with even his extracurriculars tying into his tech and data obsession. He lends his time to both Hollywood Hack Day as a hackathon/startup mentor, and is a mentor and teacher at California State University, Northridge where he fosters the digital minds of the future.